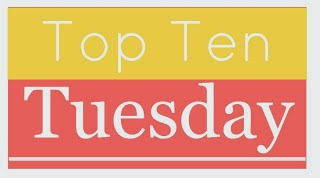 Top Ten Tuesday is a meme created by The Broke and the Bookish, and the theme this week is to list the top ten books I would love to see made into movie/TV show adaptations. 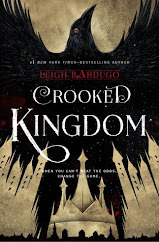 Now, I am a firm believer that not all books need to be made into movies or shows, but there are a few I would honestly kill for (just kidding). Oh, my poor (perhaps nonexistent) soul. This would make such an epic movie. Honestly, I do not understand how this isn't one already. Assassins and fantasy, plus a huge built-in fan base? It's kind of a no-brainer to me. It would be a big project to tackle, but it could be done. It has to be done. Seriously, if it isn't I may cry. Okay, not really, since I am a Vulcan and Vulcans live by sound reasoning and logic. Then again, I'm only half Vulcan, so things still may get ugly. No lie, I loved this book with my entire heart, even with it as frozen over as it is. The eerie, whimsical tone of this book would make for a gorgeous movie. The story line itself would also translate well to film, being so adventurous. 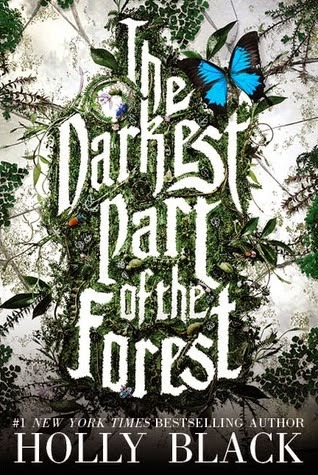 And, just imagine how cool the visual effects would look, with the woods and the faeries. It would be both compelling and pretty. This is my favorite dystopian book series ever, along with Divergent. I am not able to express how much love I hold for this series. Kids with powers on the run? An oppressive government and a deadly disease? There is honestly nothing not to like about this series, not one thing, and I will defend it to my death. Then, when I become a ghost, I will haunt anyone who ever dared insult this brilliant book. Alien apocalypse. Is that not enough? Well, it was, apparently, because it is becoming a movie. It just isn't out yet. Sigh... Oh, and dad, if you're reading this, you still haven't read this book, even though I gave you a copy for Christmas! This is your weekly reminder to finally read this awesome book. So, yes, I do realize that this has already been made into a movie. I have never had the displeasure of seeing said film. Even Madeleine L'Engle herself said the movie was Not So Great. I trust the author of this beloved book, possibly the only book I read in school and loved. Now, that is a hard feat to pull off, as I despise being forced to read certain books. It's probably because I'm stubborn and don't like being told what to do (just ask my mom). 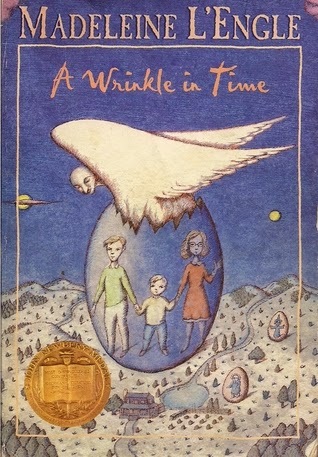 I think A Wrinkle in Time deserves a really well done adaptation, one worthy of the book itself. Fangirl is pure adorableness, with a dash of nerdiness thrown in. I'm not sure how the fanfiction parts would be filmed, but, like the vast majority of people, I skimmed those parts anyway. I am sure that it would attract fangirls and fanboys from every nook and cranny of the world. Or, more likely, from their laptops. Even me. This is one of those books I just inexplicably love. Something about it really screams, "ADORE ME!!!!!!!!!!!" And, yes, with that precise amount of exclamation marks. 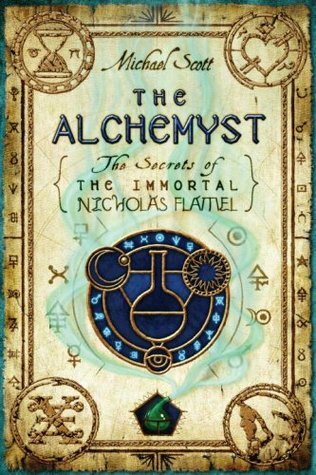 Strange enough, I mostly want to see this wondrous book as a movie simply so I could see if they could pull it off. 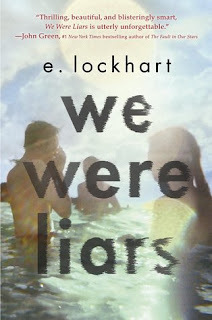 I still don't know how E. Lockhart pulled it off. She must have secret powers. That must be it. I inhaled this entire series a few years back and I stand by my eleven year old self's wish for this to be made into a movie. I never got bored, not once, reading all six installments. It is bursting at the seams with magic battles and cameos from real life historical figures and monsters from other worlds. Dear Producers, I would very much like this to be made into a brilliant movie, or else, Love Erin. This book would make a downright LEGEN, wait for it, DARY movie. Get it? 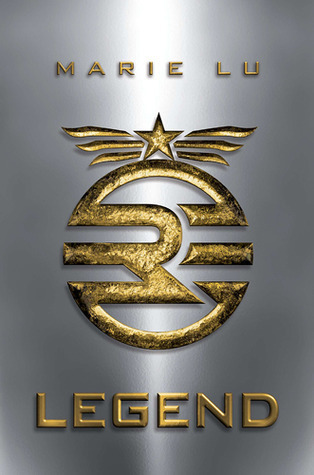 Legend? Legendary? No? Okay... This dystopian trilogy would fit in with all the movie series trending right now, for one. It is quick and action-packed and has star-crossed love, which everyone seems to love. Me? It depends. But Marie Lu got it right with this series. Last but not least, the beloved series about Greek gods and their kids. Again, I do realize that this already has a movie adaptation. But I am ignoring that on the basis that the movie sucked. This book series deserved so much more than what it was given, and I demand a redo. I demand justice! And candy, preferably blue, because that's what Percy likes. And The Lunar Chronicles, Throne of Glass and Legend would be a fantastic TV shows and movies as well. Those series are all fantastic! Thanks for sharing Erin, and fabulous post! Also also: I just read The Fifth Wave on my co-blogger's recommendation and holy cow, I am terrified of everything forever now. I can't believe I hadn't read it before. And haven't been able to stop thinking of how I'm going to escape the apocalypse when it happens. (I think the answer is, I don't.) But I've also never read the Bracken books you recommended, so maybe I'll look for those next! 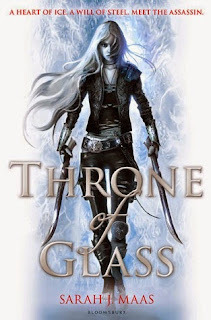 I'll try to hold the tears back, but I will cry right along with you if Throne of Glass doesn't get a movie soon. I think it was on at least 95% of the Top Ten Tuesday's I read. 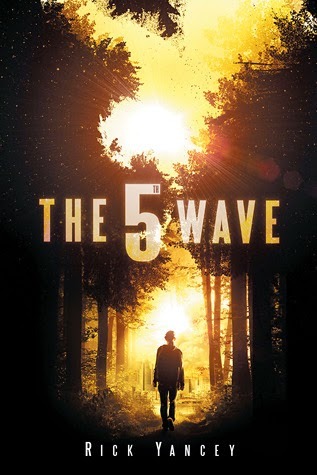 And yay, The Fifth Wave is spectacular! It is super realistic though and I'm scared too. I hope aliens are more like the Doctor from Doctor Who. Because I would die in the apocalypse for sure. Running from extra terrestrials is not my thing. Read the sequel, it's so good and the third one comes out this fall, I think. 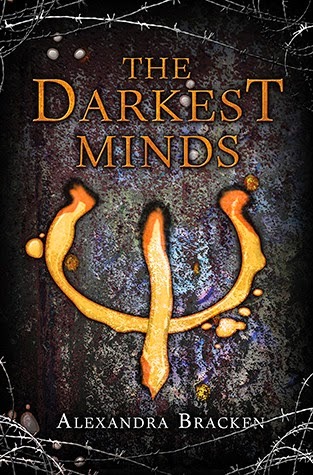 And The Darkest Minds series is a MUST. SO GOOD. I AM HALF VULCAN TOO *vulcan hi five* Well. Maybe I'm like 78% Vulcan because I never cry in books. XD Except for once, but I digress. 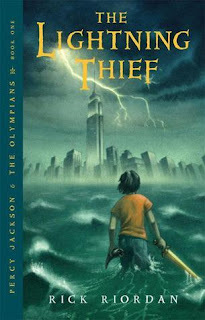 ZOMG YES TO PERCY JACKSON. Let's burn the first movies from our minds (although I kinda enjoyed Sea of Monsters and laughed a lot of a lot) and I think Fangirl would be perfect and adorkable. Someone needs make these happen. SOMEONE. DO IT. *Vulcan high five back* I don't tend to cry much in books either. With the exception of Allegiant, of course, because that crushed by admittedly icy heart into a hundred million little pieces. And a definite YES to a Percy Jackson! How could they mess up those wondrous books so horribly? It's a crime. You're right though, Sea of Monsters wasn't AS bad. 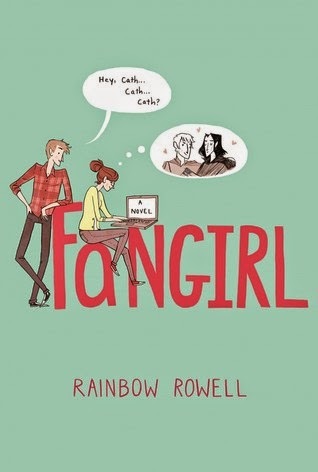 Fangirl and all the others just NEED movies. Is that too much to ask for? Thanks! XD My dad and I also talk all the time about how Percy Jackson needs a better movie. That last one was shameful. You should definitely check out the rest, though, especially We Were Liars and The Darkest Minds and...all of them, I can't choose just one! Thank you for commenting! Oh wow... a lot of these have already been optioned for film and I do hope we get them instead of them fizzling out like so many have! And even though we don't have any overlap, MY LIST is here, Holly Black books definitely would make good movies. You have some great reads here and I wouldn't mind seeing some of these books on the big screen for sure! I know! It seems as if so many books are optioned but never created! I wonder why... I'll definitely be checking out your list, thank you for commenting! And I agree, I have only read one Holly Black book so far and I LOVED it. I mean, obviously, I put it on my list.